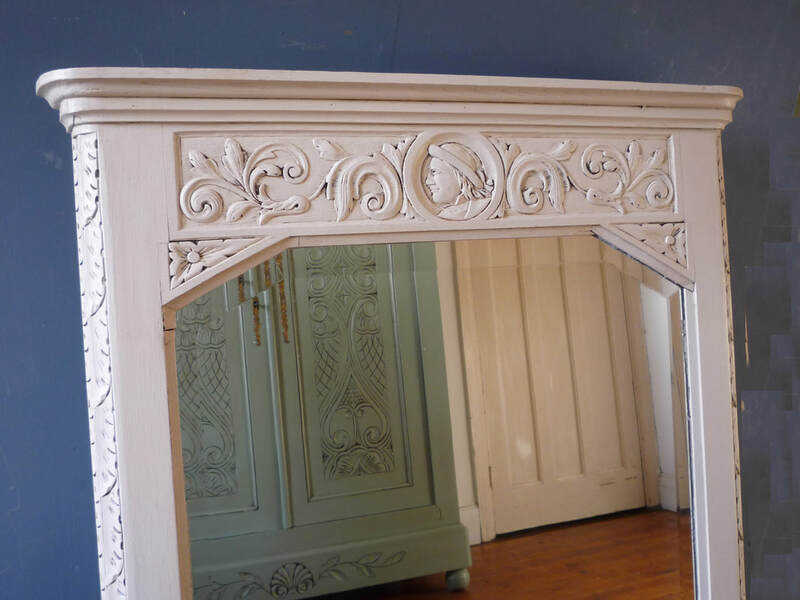 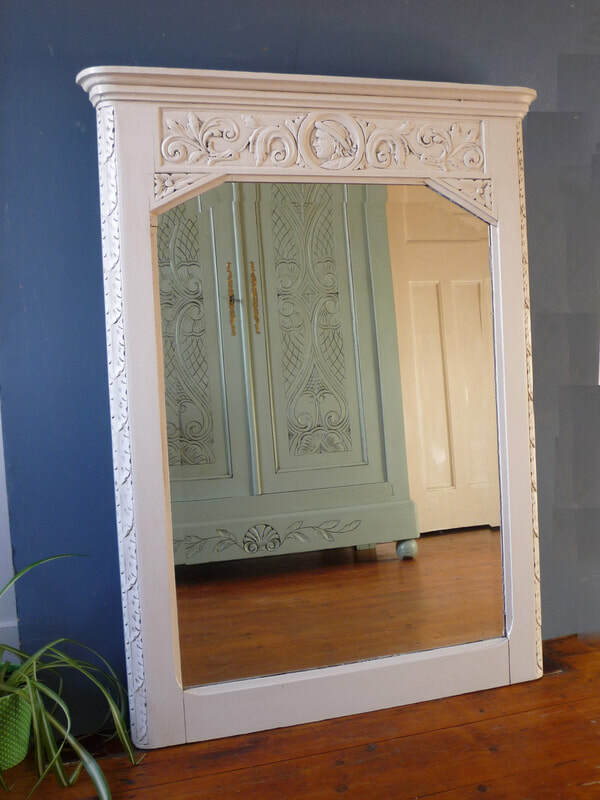 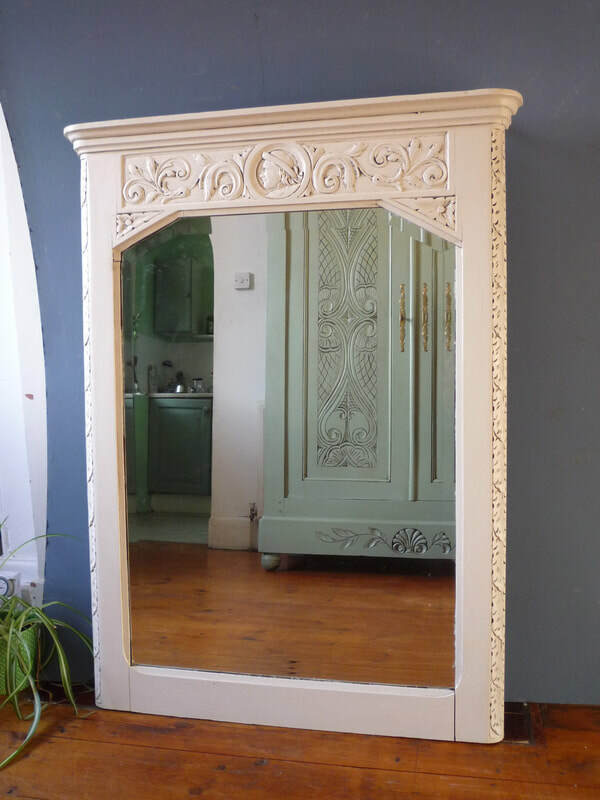 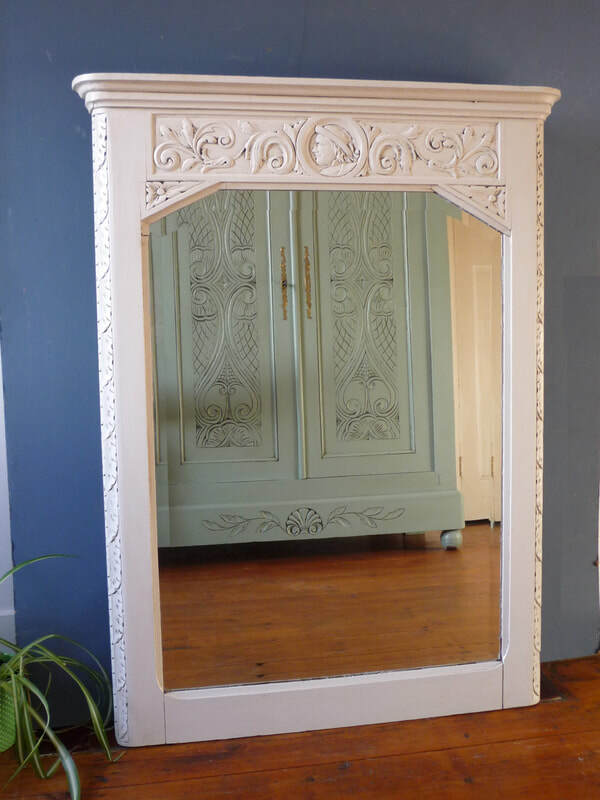 A beautiful painted large French mirror. 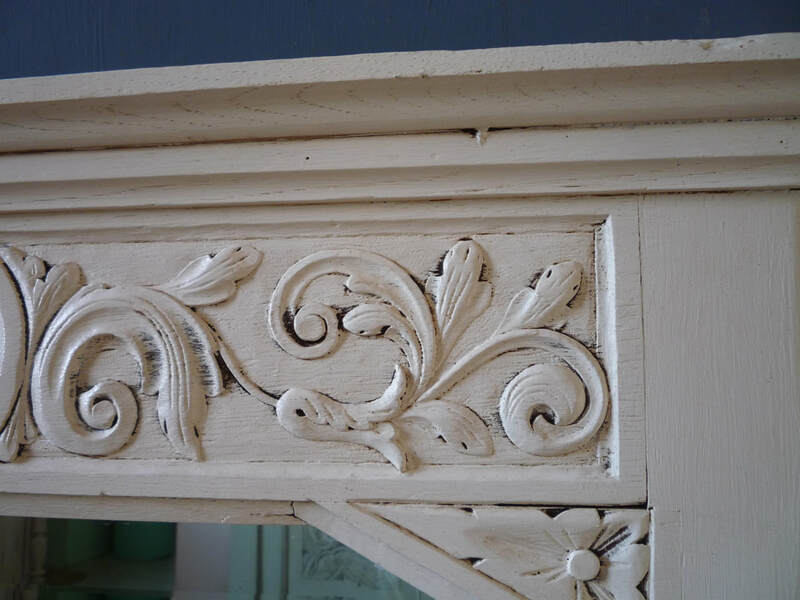 Hsiling from Brittany, the frame displays the traditional Breton floral motifs. 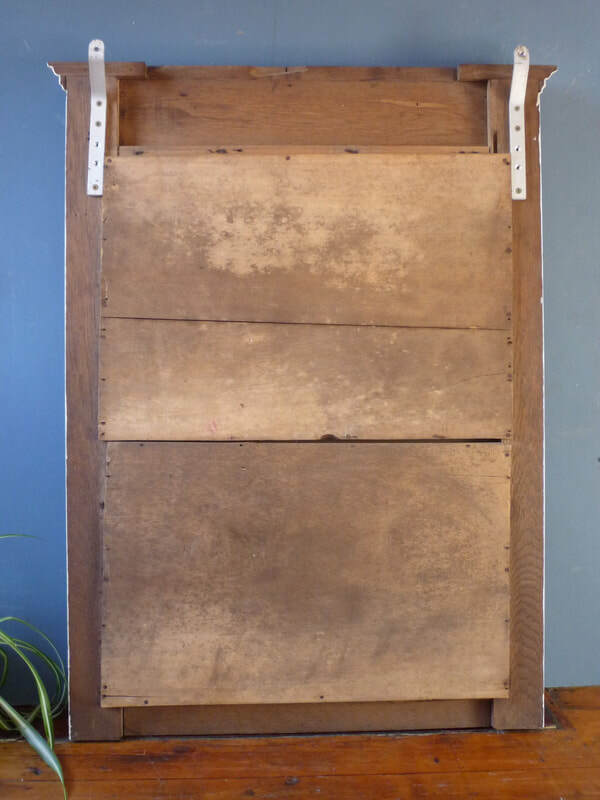 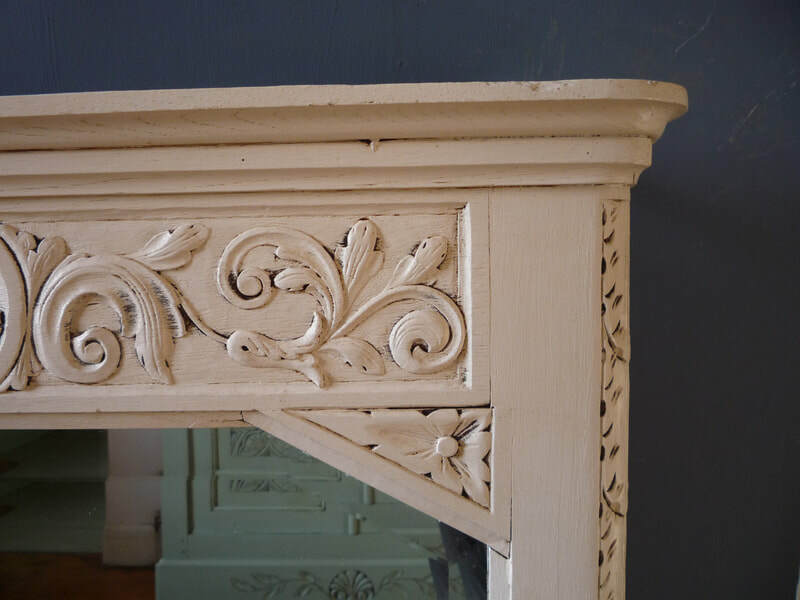 It is a quality piece, dating from the early 1900s. 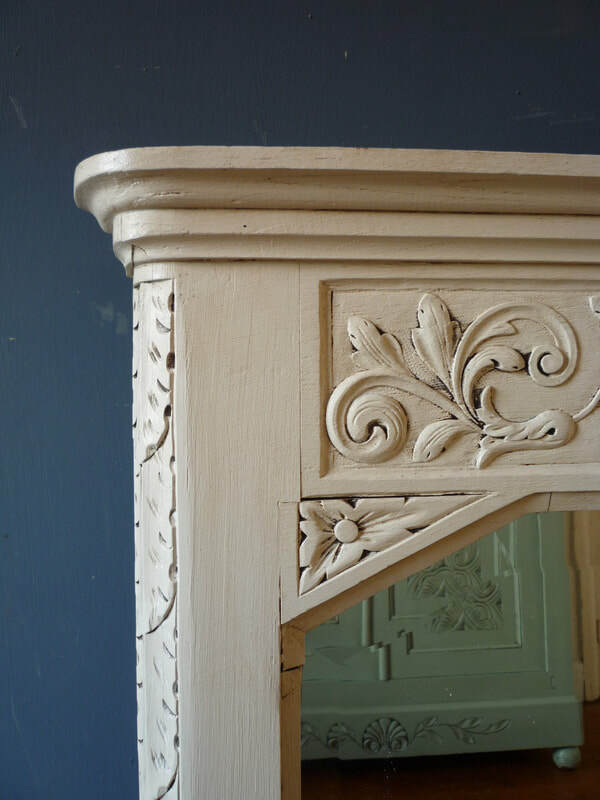 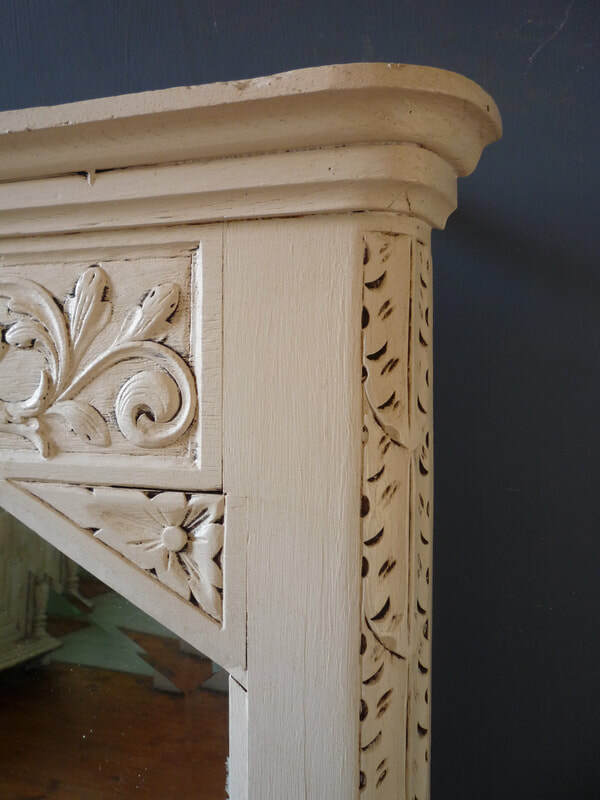 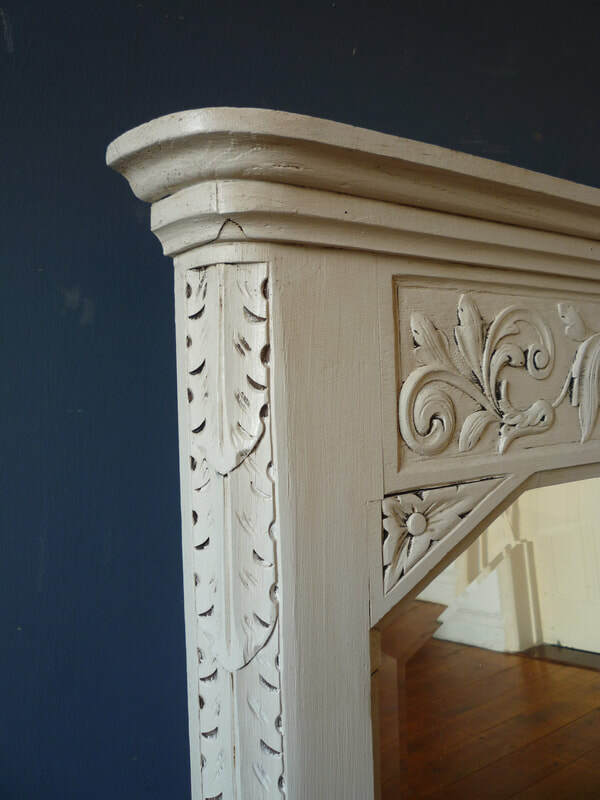 It has been sympathetically painted and waxed to enhance the character and period style. 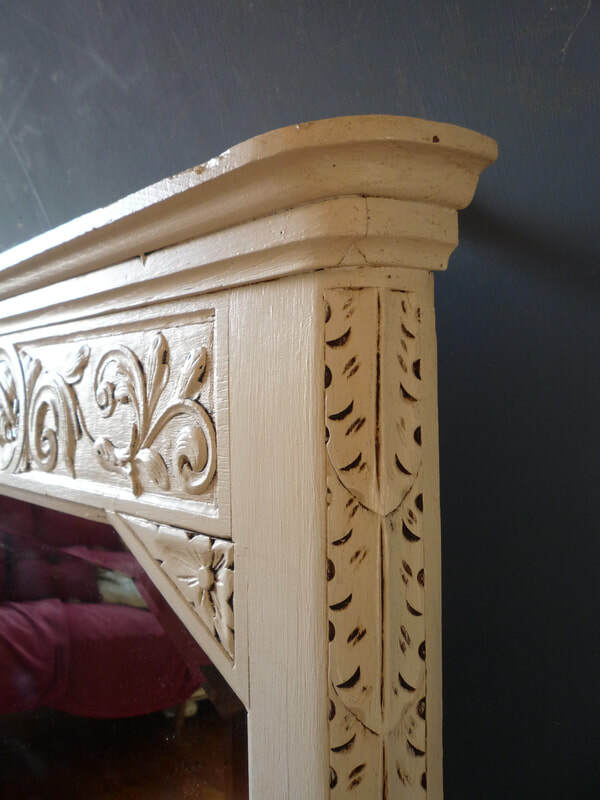 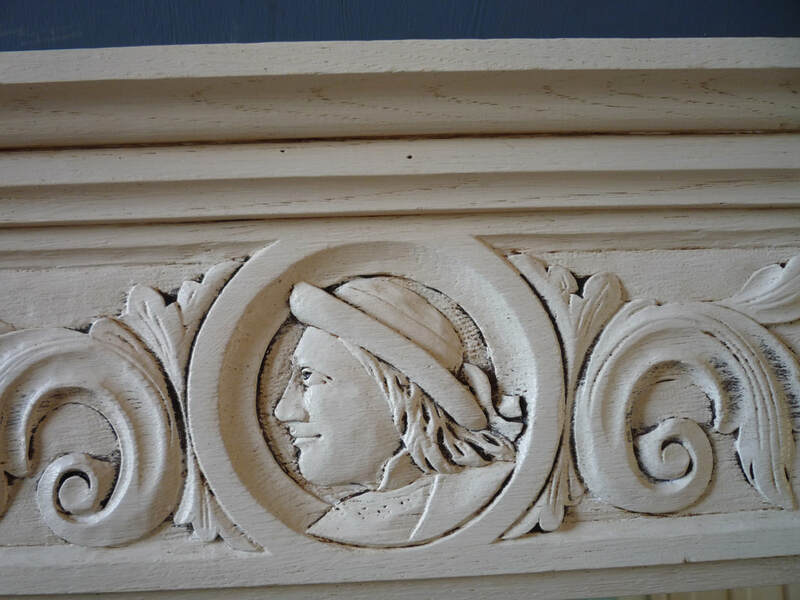 Made of oak, the frame is reassuringly heavy and beautifully carved. 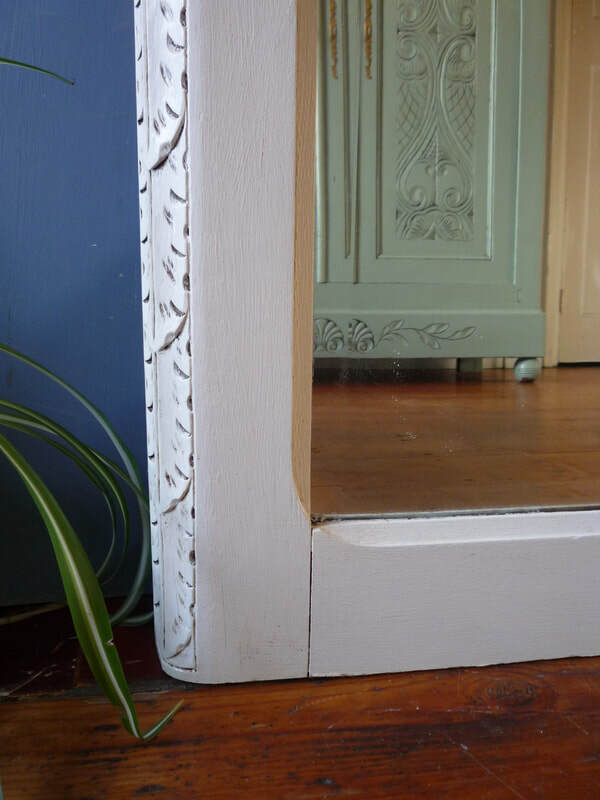 The original mirror glass is heavily bevelled and in lovely, clean condition.